These single serve items have really taken off in the last several years, with these brownie and cake mixes popping up now. Chris tried making his own years ago. With a little preparation you can set up several single serve mixes at once for future use. 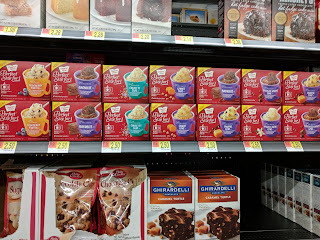 Or you can divvy up a cake mix box as well.